This is an advanced young puppy training program and produces impressive results with a puppy that is only 8-12 weeks of age. This early training will set you and your puppy up for success. Though this is a “well started" puppy with a great head start, he/she is still a very young puppy. It will be necessary to practice training with your puppy when he/she goes home with you at twelve (12) weeks of age. This program will give you a good, solid start with very reliable results. 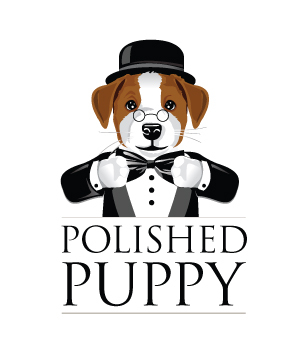 The Polished Puppy Program is the single most important investment you can make in your new puppy. Space is limited so inquire about availability of a training slot at reservation time. Training will be billed at $88 per day ($2464 for a full, four-week session) and due when training begins. Once the puppy goes home, you will need to continue working with your puppy - because puppies are like children in that they never stop learning. Training fees are non-refundable. Here is a chance for your puppy to receive advanced training before going home with you. Our training program is currently priced roughly 50% below typical Board and Train Programs offered elsewhere. We offer the deep discount because we understand how crucial it is to get your puppy off to a terrific start. 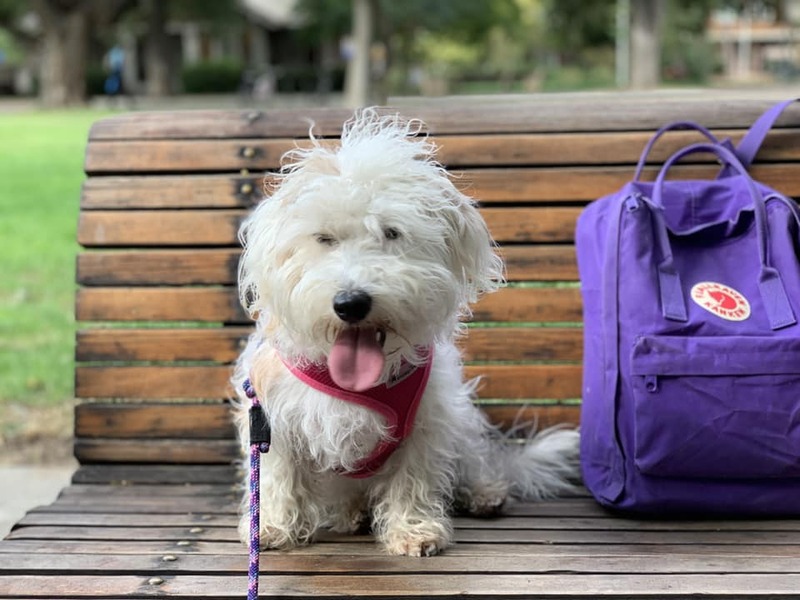 You can take your puppy home at eight (8) weeks of age and elect to do all beginning training to include housebreaking, manners and teach basic obedience commands or you may elect to go with our boarding school package. If you choose this add-on option, we will spend four (4) extra weeks giving your new puppy a great foundation in life: House-training to pee pad and outside, basic manners, handling, socialization and introductions to environmental stressors such as people, other dogs, places, sights, and sounds. Good chew habits will be practiced, basic obedience commands installed, loose-leash walking, beginner’s recall, and more. Puppy play biting and jumping are also addressed during this time. Everything you need for your puppy to grow up into a well-behaved, easy-going dog - And the potty accidents happen at our house, not yours. Training is a necessary foundation to ensure you, your family, and your pup get the most out of your relationship. Behavioral issues can be frustrating. Our program can help get your puppy headed in the right direction. We have designed age appropriate curriculum for puppy as he/she matures. All of our training and commands will be practical for daily life. Our training program curriculum was designed by Sheila at Connemara. Sheila is a professional, state certified dog trainer and has trained/worked Police K-9's in her past career. She has continued her education by attending many seminars and workshops. More currently, she was enrolled in The Academy for Dog Trainers and studied under Jean Donaldson. As well, Sheila has added two very competent trainers to her team. There are several benefits to a board and train program like ours. With a reputable trainer and facility, the pup gets a lot of important training, exercise and mental stimulation, creating the perfect environment to produce a well-trained dog. Proper training provides clear and consistent rules for the pup which the dog owner can put in place once the dog is back home. The cost for this program is $2,464. This is billed at a daily rate of $88. So if the timing of 4 weeks doesn't work for you and you can only commit to 3 weeks for example. The cost will be $1,848. Puppy will begin with the very basic exercises learning TOUCH and SETTLE. This teaches how ‘the game is played’ so we can move forward. ‘Home Alone’ training will be practiced too - to help your pup not have Separation Anxiety issues later on. First set of core vaccines will be given at ten (10) weeks of age. 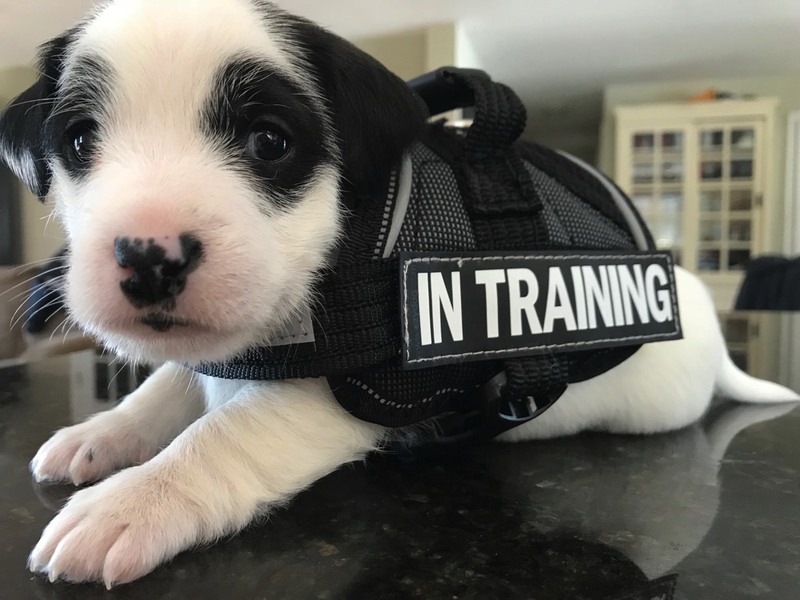 We will also provide you with weekly updates during training a comprehensive write-up on your puppy at the end of training, and a link to a video showing you that your puppy can do all that we've said he/she can. This video will include the needed hand commands as well; You will also get a link to a large folder full of downloadable step-by-step instructions on how to practice and execute many commands as well as deal appropriately with typical puppy behavioral issues. Our ultimate goal is to get you and your new puppy off to a proper head start and well down the road in the right direction…and all for well below the industry standard for training. We offer this program because we know how important early training is and how much it can mean to you and your new puppy. Books listed on this page are HIGHLY recommended… so much so that we will send one home with you and your new puppy. Our polished puppy kindergarten is the single most important thing you can do for your Jack Russell Terrier Puppy. As your Jack Russell Terrier Breeder we set your Jack Russell Puppy up for success. Suggested Reading: We will send home a copy of LIFE SKILLS FOR PUPPIES. In addition, if you are serious about getting good info at your fingertips, we recommend you pick up THE MISUNDERSTOOD DOG while waiting for your new puppy. It is my favorite little book because it is short, easy to read and packed with vital information. This one can be fun too: 51 PUPPY TRICKS because it’s very simple, has many pictures and will show you useful, beginning puppy commands we use in our program…a great book for kids. And THE PUPPY PRIMER because it has a lot of valuable info in it that is not listed in the book we will send home with you. All training curriculum is science based on how dogs learn; either by consequences (Operant Conditioning) or by association (Classical Conditioning). My background in Canine Positive Reinforcement, Behavior Theory, and Game Theory has instilled in me a belief that training for dog and owner should always be fun, positive, clear, short, and look like a game. Continuing education keeps me current and growing. 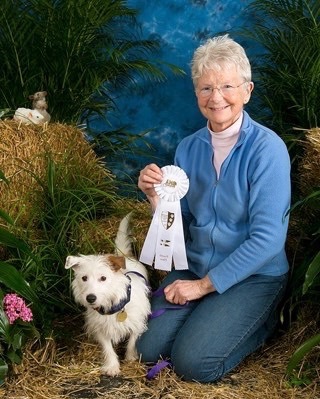 The Connemara Terrier Polished Puppy Program and Kindergarten was developed using that same philosophy and offers each puppy a great foundation in all aspects of life. I am very fortunate and thrilled to be able to train and share in the growth and fun with these wonderful puppies from exceptional breeders and trainers. 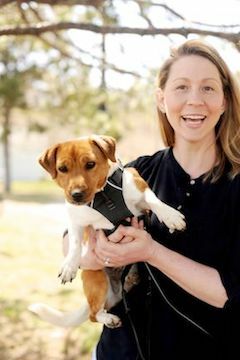 "Success, for me, is helping to develop a puppy’s self-awareness, having a puppy that can think and choose to happily offer positive behavior choices throughout his or her life with their family. Teaching puppies the process of learning with fun and joy sets them up for success. Rewarding them for offering those good choices makes a lasting impact on how they approach life in general and how easily they can meld in and adapt to their human family." Over 65 Connemara Terrier Puppies have graduated from our Polished Puppy Kindergarten. You can view more "End of training videos" on our YouTube page. Stephanie has learned that Positive Reinforcement and Force Free Training is always the way to go. She believes that short, positive and fun training sessions are key. In order for both dog and trainer to walk away feeling successful and good, you must have fun, keep training session short and reward the good behavior. "We enrolled both of our puppies in the Polished Puppy Program. I highly recommend this to anyone who wants a jump start on training. Both puppies came to us being able to sit, down, stay and come when called. They were crate trained and well on their way to being house trained. It was really something to see these little guys come running when called, sit and look up to make eye contact.I think the most important thing was that they learned to learn with positive training methods. This breeding and training combination cannot be matched!" 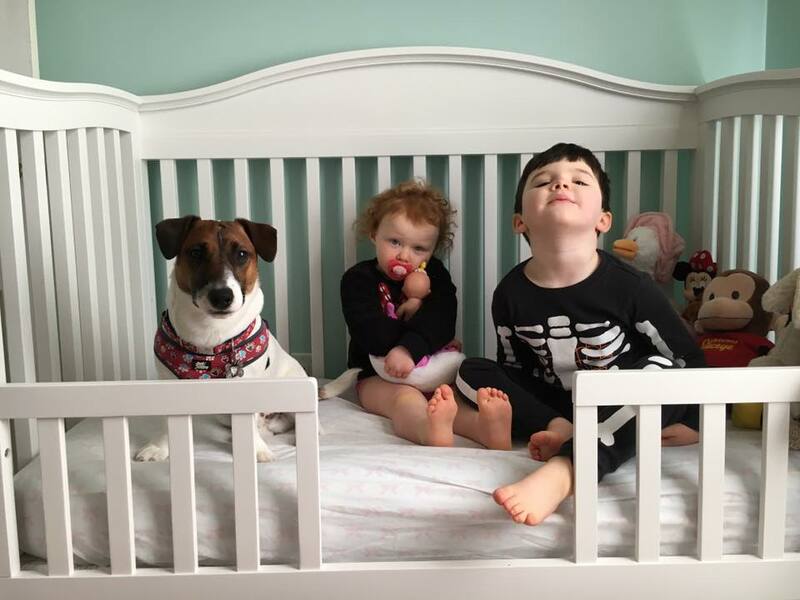 Winston and his fun little kiddos in Connecticut. Winston is known to crawl in to bed with his little people at night when comfort is needed. Jack Russell love to snuggle! Perrie on her first day of Kindergarten in California. It was her "Moms" first day of College too! Perrie is a first generation heritage puppy.